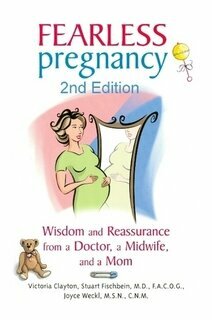 fearlesspregnancy » Blog Archive » Dr. Fischbein to be panelist at Long Beach Event– Get tix now! Dr. Fischbein to be panelist at Long Beach Event– Get tix now! Leaders from Birth: Our world leaders 15 to 30-years from now are in the womb, orphanages, playgrounds, war zones, home and school! JOIN US for an inspiring, empowering panel discussion amongst interdisciplinary pioneers connecting the dots between shaping our future and serving our children well. Panelists: Karen Gordon wholechild.org/home.html , Susan Kaiser Greenland susankaisergreenland.com/, Dr. Stuart Fischbein supportdrfischbein.com/index and fearlesspregnancy.net/?page_id=8 , and Ishmael Beah beahfound.org/Beah_Foundation/Home.html! We are excited to invite you to this inspiring, interactive, fun and transformative event at the Long Beach Convention Center, November 6 & 7. There are many great ways to participate and embody your leadership during the conference. In addition to the diverse speakers there will be panels with Q&A, break out sessions, workshops, Challenge-Day! experiential, the Sanctuary Space, yoga, and a youth leadership program. Here’s a sprinkle of topics to engage in: social entrepreneurship, science & technology, education, socially responsible media, politics, spirituality, women’s leadership and human rights. This weekend will be fun and productive, with much opportunity to network, and deepen your authentic leadership.